Home / If I Have an ATS Why is There a Time Delay When the Power Goes Off? 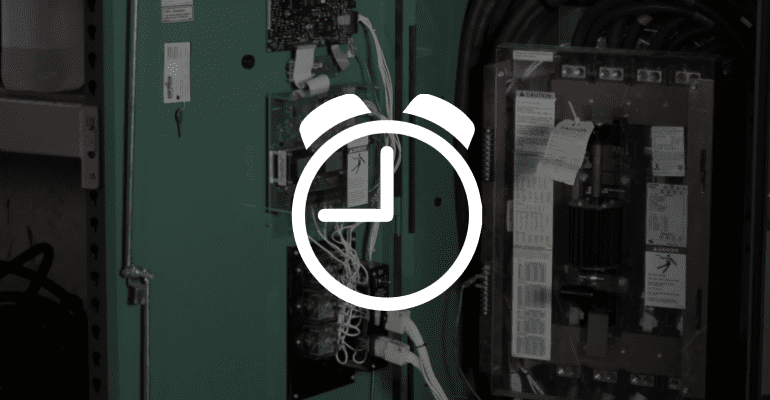 There’s a system of time delays just in case power goes off and comes right back on – you don’t want your generator switching to emergency power at that point. So after a certain amount of time, 1 to 2 seconds of a voltage dip, the generator will get a crank signal from your automatic transfer switch. When the generator comes up to voltage, (which is sensed by your automatic transfer switch) it then transfers power from utility to the generator.